New Orleans is incredibly friendly as far as major American cities go, but right now its the beginning of the summer madness when the heat and humidity fry our brains and make it difficult to scrape our sorry selves off the floor. A lot of people get mad and stupid in the summer. Maybe the lead that’s been accumulating in our bodies all year holds the heat in some special way that makes people more reckless and aggressive than usual. Maybe I’m overstating the case, because there are still plenty of sweet and uplifting interactions to be had in the summer. This is especially true because a lot of people leave so it feels like a smaller town than the big weird city it is in winter. But I also think most people get less tolerant of each other during these unbearable months. I bring this up only because I’d like to recommend Danny’s Food Store as a place to get a cute little break from the madness. The lady that works here is so friendly and sweet! I’m pretty jaded when it comes to “exchanging money for goods” interactions but she succeeded in making me feel like a valued and special customer. Weird, huh? I love her and I don’t even know her name. 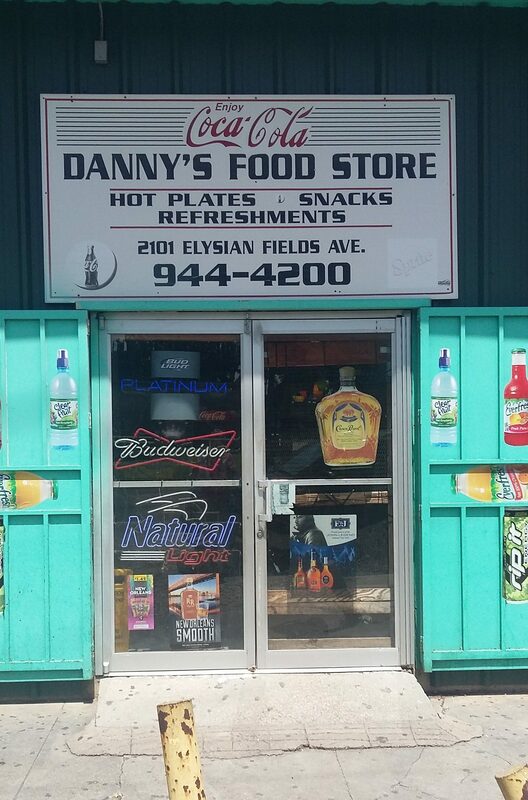 Danny’s is yet another in a long line of little New Orleans convenience stores run by Vietnamese folks that serve delicious hot plates. My favorite! 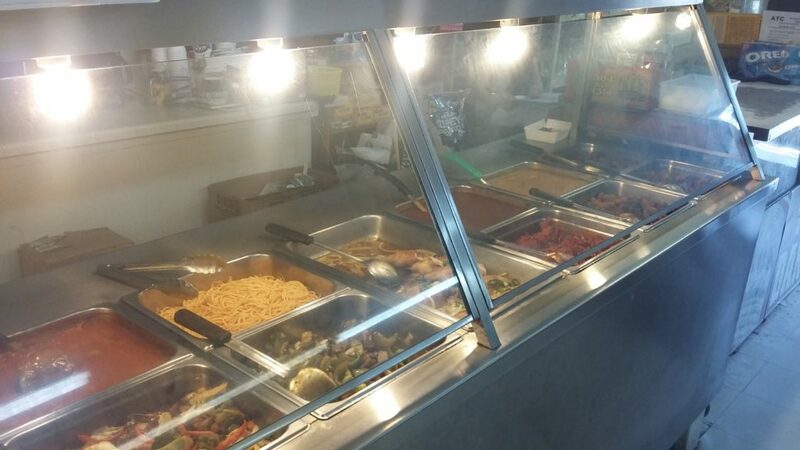 They have more options than a lot of the other convenience store hot plate places. They even sell “mondongo” which is how they spell menudo. I love tripe but I can’t hang with menudo, so I couldn’t tell you whether their mondongo is good or not. I can tell you that they have about four different takes on the “sweet breaded chicken” category of American Chinese food and all are pretty delicious. The spicy one is the best, though it is very mild. 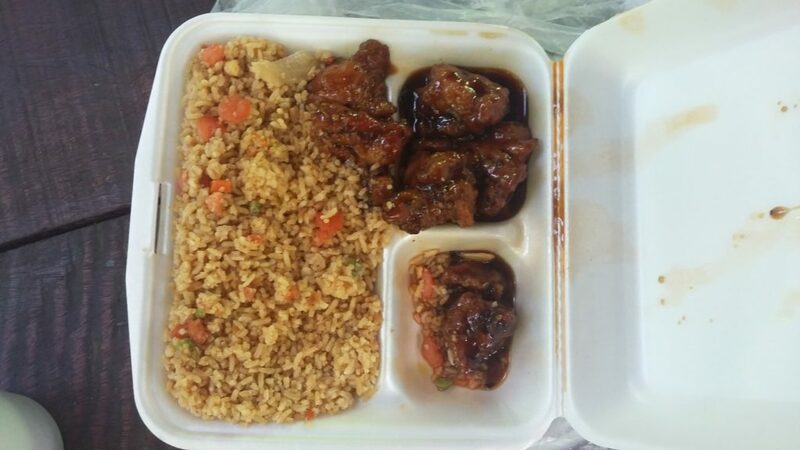 We got the fried rice in both of our hot plates because, even though the lo mein tastes really good, it’s too greasy for me. Maybe I could deal with all that grease in the winter but I try to eat lighter when it gets above eighty degrees out. I think the fried rice looks kind of gross but it tasted great and had a scattering of vegetables in it along with the usual onions egg and shrimp. We got one two item plate for 4.99, which is a great deal. The three item plate had baked chicken and pepper steak. 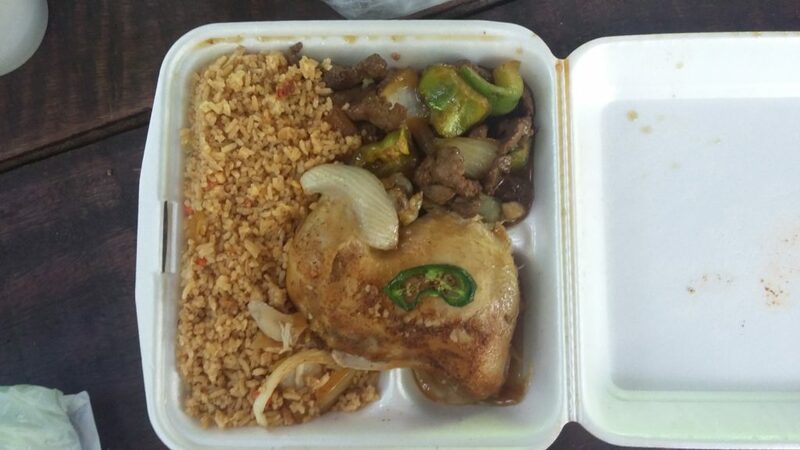 Im really skeptical of cheap beef that isn’t in burger form, particularly from Chinese food places. Too often you’re paying extra for mostly gristle. This pepper steak was actually perfect. The baked chicken tasted good but was a little dry, which is true of most hot plate chicken that isn’t kept in a pool of its own juices. 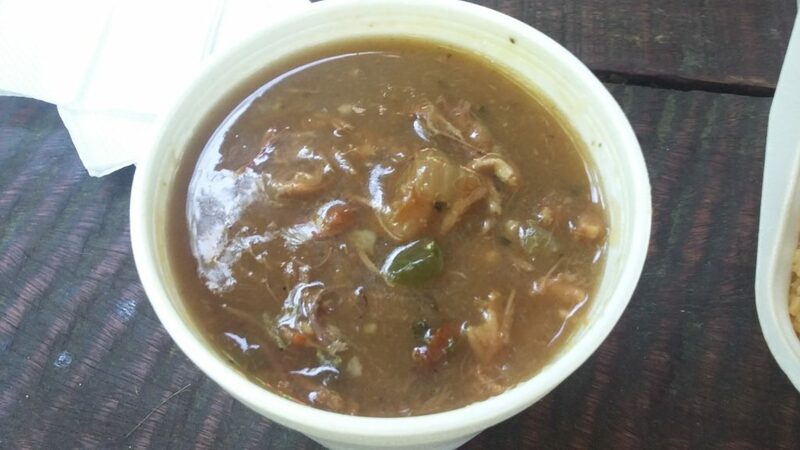 We also got a small gumbo. I am very picky about gumbo because my family makes their own. This was one of the only convenience store gumbos I would recommend getting. It’s not anything fancy but it’s good enough to satisfy my gumbo desires. The food is cheap and good, but the beer is pretty expensive. 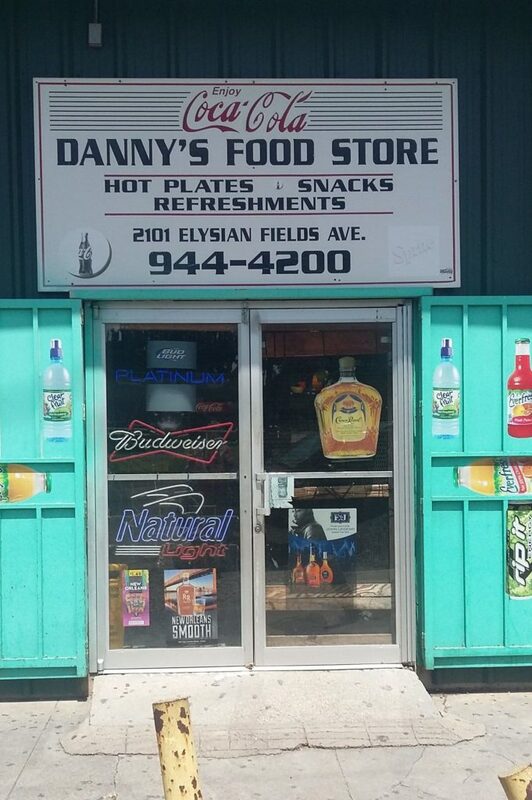 Get a six pack at Hanks or Sav-A-Lot if you use cold cheap beer as a summer coping mechanism, then grab a hot plate from Danny’s Food Store at 2101 Elysian Fields and bask in the sweetness that is interacting with the nice couple that runs this place.